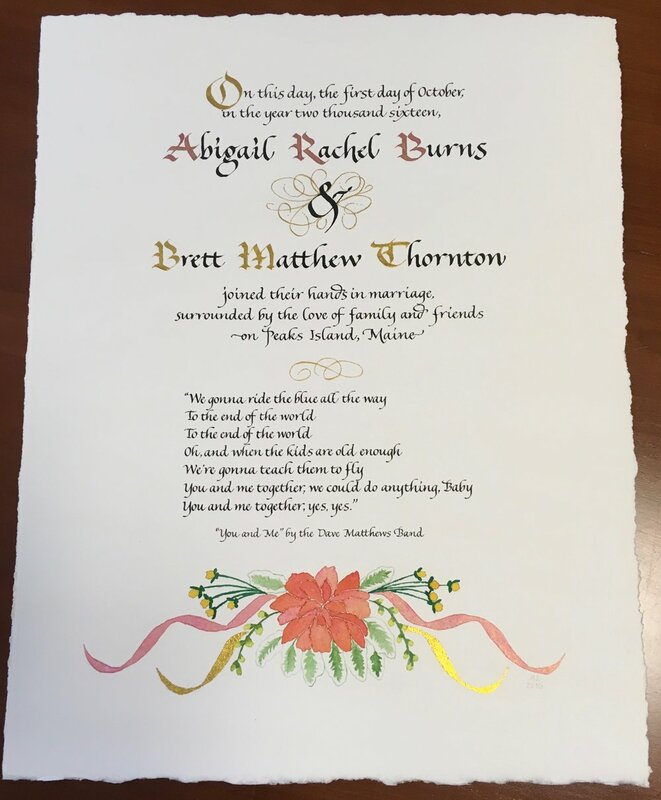 Wedding certificates commemorate your wedding day, drawing on both Quaker and Jewish traditions. Each one is inspired by the location, flowers, and feel of each couple’s wedding. 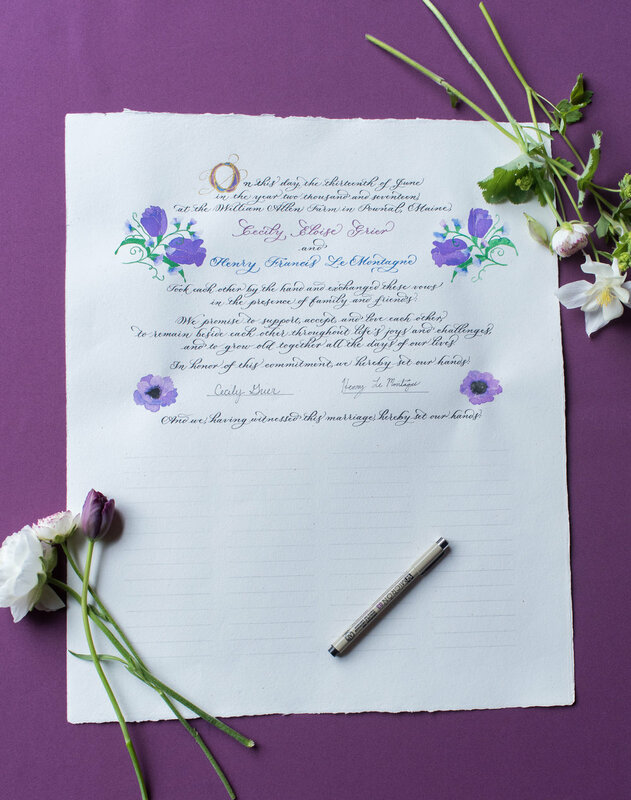 Pencil lines can be drawn for guests to sign at the bottom, or can be left off if you desire. 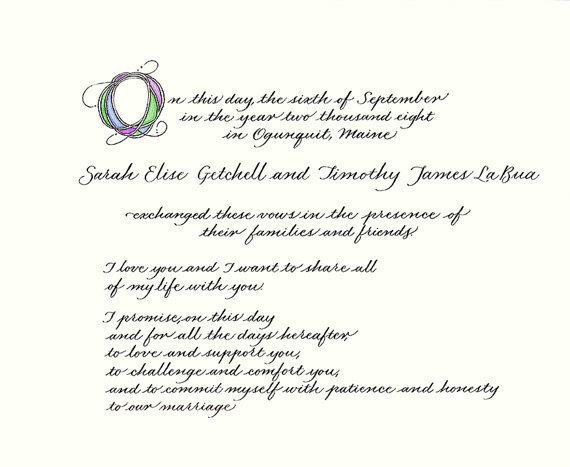 Your wedding vows can make a romantic bride or groom gift that will always be treasured. I’d love to hear from you about your ideas, so do contact me!